Sports fans will tell you what you eat during the game can make even a bad game worth watching. Our experts have put together a basket that will ensure they have a fantastic time no matter who wins. 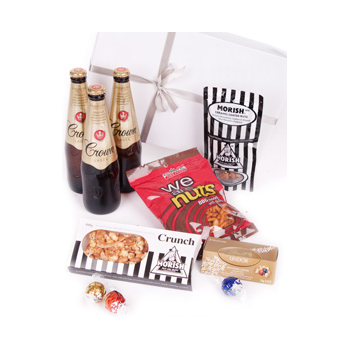 Your recipient will receive 3 stubbies of Crown Lager (330ml), a crunchy Caramelized Popcorn and Nut Bar, tempting Lindor Chocolates, and more. Prepare for the big game, give him an epic day off, or treat him just because with The Ball Park.